When two of the best pitchers in the National League face-off, that’s about the kind of game you’d expect. The Dodgers were able to squeak out a 1-0 win on Thursday night against the Cardinals. In a game that didn’t have a ton of offense, it was still rather exciting. Josh Beckett and Adam Wainwright were worth the price of admission, as each pitcher threw seven shutout innings. That is, until the Dodgers finally got to Wainwright in the eighth inning. Juan Uribe — fresh off his 34-game absence due to a hamstring strain — singled on the first pitch he saw in the bottom of the eighth. Drew Butera then sacrificed him to second base. Miguel Rojas came up with an infield single. 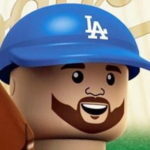 With the pitcher’s spot due up, Justin Turner, also known as Justin F. Turner, came through with an RBI single for the game’s only run. But the game may have been saved by Matt Kemp in the seventh inning with this fantastic throw to nail Allen Craig at the plate. That preserved the scoreless tie, and changed the complexion of the game at the moment. While Kemp may not be entirely happy in left field, I’m sure as hell happy he’s there. His arm plays up a lot out there, as evidenced by this throw. Kenley Jansen shut the door shut in the ninth inning against the Cardinals’ 2-3-4 hitters. The Dodgers got a little lucky as after a 1-out Matt Adams single, Peter Bourjos pinch-ran for him. He had second base stolen, but came off the bag and Rojas (apparently) kept the tag on him. Hey, I’m not going to argue. Jansen would get Jhonny Peralta to fly out to end the game. Brian Wilson had an encouraging inning. Sure, it came against Mark Ellis, Wainwright and Matt Carpenter, but he got two strikeouts and looked about as good as he’s looked all season. The Dodgers (45-36) took the first game of a 4-game set from the Cardinals (43-37). Hyun-jin Ryu (8-3, 3.08 ERA) takes on Carlos Martinez (1-3, 4.33) at 7:10 p.m. Pacific. Maybe Hanley Ramirez will play, but probably not — maybe. The Dodgers — at press time — are 2 1/2 games back of ‘Frisco. The Giants are down 3-1 after eight innings.